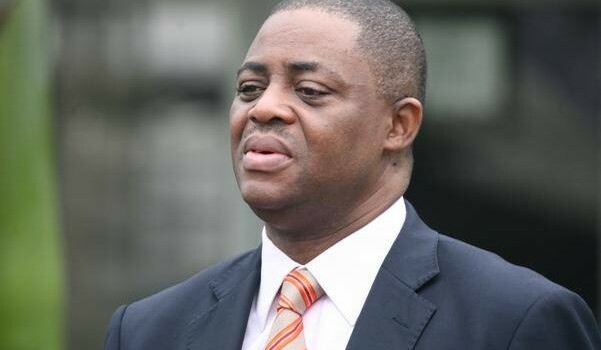 Femi Fani-Kayode, Former Minister of aviation and spokesperson for the Peoples Democratic Party, PDP Presidential Campaign organisation believes that boko haram terrorists are getting bolder because they now have powerful friends. Fani-Kayode made the comment via a Facebook post. Anyone that honestly believed that a man who secretly shares the same vision and core principles of Boko Haram and who spent many years defending them can do anything but give them a free hand when he comes to power is living in cuckoo land. I am not surprised by all the recent bombings and killings. I am not surprised by the resurgence of Boko Haram and their new-found barbarity, courage and zeal. Military checkpoints have been removed from our roads so what do you expect? Boko Haram suspects are now being kept in prisons in the eastern part of the country in order to ”spread the word” and no less than 182 Boko Haram suspects were released on the President’s orders just a few days ago. Is all this just a coincidence or is something that is dark and sinister now afoot in our country? Whatever each of us may or may not believe, one thing is clear- that Boko Haram now have powerful friends and secret allies right at the epicenter of power and those friends and allies are running the affairs of the country. There is a much wider picture unfolding here which the Nigerian people have yet to see and which they find difficult to accept, understand or comprehend. There is a hideous and frightful hidden agenda which is slowly manifesting before our very eyes. Though we warned them, the Nigerian people wanted “change” so they must live with the consequences of their choice. One of those consequences is the new-found audacity, courage, growing power and rising strength of Boko Haram. Another is the resurgence of a clearly ethnic agenda which is designed to leave no-one in doubt about who really owns Nigeria and who the slaves are. Another is the destruction and demystification of Bola Tinubu and his yoruba loyalists by his erstwhile northern allies in the APC. Only a fool did not see that one coming and I am rather surprised that Tinubu’s followers are now crying foul and alleging that there is a northern conspiracy. Didnt they know that before? Were they not warned over and over again? There are many other grave consequences which the Nigerian people will witness, in a most harrowing and frightful manner, in the next few months and years. May God deliver our people and our nation and may we learn to make the right choices.